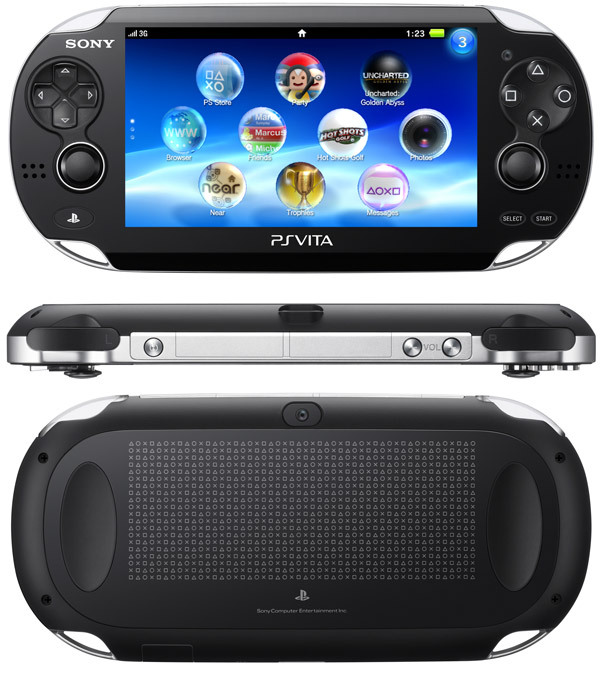 - 3G/ATT (3G model only) : The new PS Vita 3G/Wi-Fi, powered by AT&T's Mobile Broadband Network, will change the way you game with real-time scores and game ranking news feeds, competitive multiplayer game sessions, and cross-game text messaging with Party. - Front and rear camera : Use the front and rear cameras on your PS Vita create amazing augmented reality experiences in your games by transporting your world or yourself into the game. - Six Axis movement : With PS Vita's motion sensor technology actively engage with the game like never before as you touch, tilt, and steer your PS Vita. - OLED touchscreen : The multi touch display offers new ways to complete challenges and actions alike, all on a stunning 5" OLED screen. - Rear touchpad : The rear multi touch pad gives you greater hand control while freeing up the brilliance of the front OLED screen. - GPS (3G model only) : Locate, connect and play with friends via GPS* and social networking apps like near.